Merje Kuus is Associate Professor of Geography at the University of British Columbia, Canada. Her research focuses on political geography and transnational policy processes. She is the author of Geopolitics Reframed: Security and Identity in Europe’s Eastern Enlargement (2007) and co-editor of the Ashgate Research Companion to Critical Geopolitics (2013). She has also written on security narratives, intellectuals of statecraft, the idea of Europe, and transnational diplomatic practice. 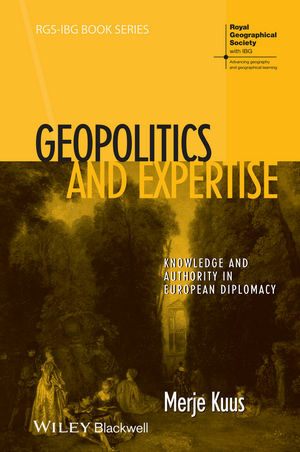 Placing Diplomatic Knowledge; Policy Fields; "The work of reciprocal elucidation"
A New Object of Knowledge; Fields of Expertise in the European Quarter; "Most people just want to do what they are told"